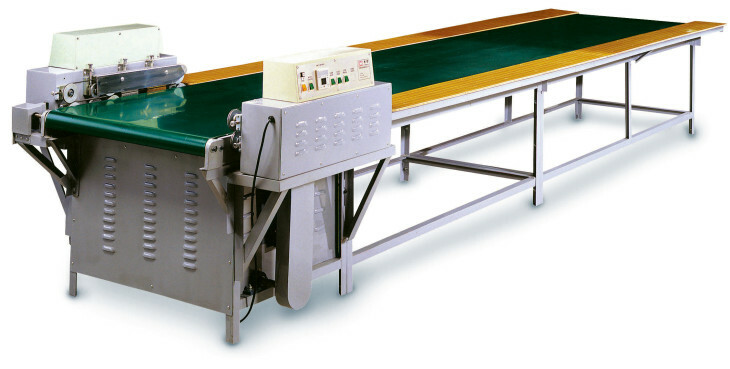 A sealing machine fitted with the conveyor for efficient operations. Ideal for mass production line. Equipped with infeed conveyor for greatly upgrading productivity. Suitable for mass production for hardward and part assembly. Permits for 8 operators to work at both sides. Maximum loading capacity on conveyor is 150 kgs. The height of the conveyor from floor is 800mm. Stainless or wood tables on both sides. Foot stand under table allow operators to sit for working. Equipped with product storing channel. 3 phase, 220V power system.